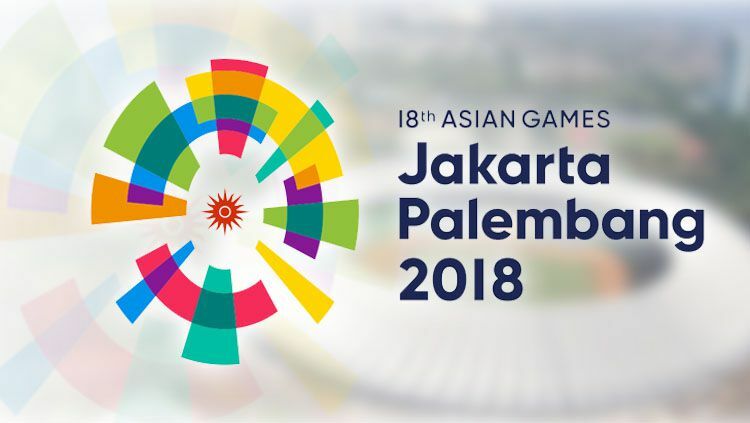 ➥ Asian Games 2018 start in Indonesia's twin Cities Jakarta and Palembang. ➥ Games Start on 18th August and End on 2nd September. ➥ This is the 18th Asian Game 2018. 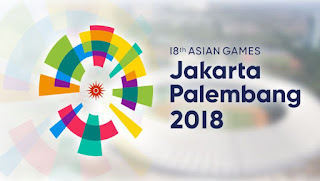 ➥ Asian Games 2018 also known as Jakarta Palembang 2018 Games. ➥ 45 Nations are participating in this 2018 Asian Games. ➥ Last Asian games 2014 held in Incheon, South Korea. ➥ Asian games held for every four years. ➥ AGF: Asian Games Federation. ➥ First Asian games held in New Delhi India. ➥ First Asian Games Start in 1951. ➥ India host for Asian games from 1951 to 1978. ➨ Japanese Swimmer Ikee Rikako was named as the Most Valuable Player of the Asian Games 2018. ➨ Pranab Bardhan and Shibnath Dey Sarkar - Won the Gold in Bridge Men's Pair Event. ➨ Amit Panghal - Won the Gold in Boxing Men's Light fly 49KG. ➨Women's Team India - Won the Gold in Athletics 4x400m Relay. ➨ Jinson Johnson - Won the Gold in Athletics Men's 1500m. ➨ Swapna Barman - Won the Gold in Athletics Women's Heptathlon. ➨ Arpinder Singh - Won the Gold in Athletics Men's Triple Jump. ➨ Manjit Singh - Won the Gold in Athletics Men's 800m. ➨Neeraj Chopra - Won the Gold in Athletics Men's Javelin Throw. ➨Equestrian Team - Won the Gold in Eventing Team. ➨Tejinder Pal Singh Toor - Won the Gold in men's shot put. ➨Rohan Bopanna and Divij Sharan - Won the Gold in Lawn Tennis Men's double. ➨India rowing team - Won the Gold in men's Quadruple Sculls. ➨Saurabh Chaudhary - Won Gold in 10m Air Pistol Men. ➨ Vinesh Phogat - Won Gold in Women's Freestyle 50kg. ➨ Bajrang Punia - Won Gold in Men's 65 Kg. ➨Neena Varakil - Won the Silver in Athletics Women's Long Jump. ➨Dharun Ayyasamy - Won the Silver in Athletics Men's 400m Hurdles. ➨Dutee Chand - Won the Silver in Athletics Women's 100m. ➨Muhammed Anas Yahiya - Won Silver the Athletics Men's 400m. ➨Hima Das - Won the Silver in Athletics Women's 400m. ➨Fouaad Mirza - Won the Silver in Equestrian Eventing Individual. ➨Indian Women Kabaddi Team Won - the Silver. ➨Shardul Vishan - Won the Silver in Men's Doble Tap. ➨Lakshay Sheoran - Won Silver in Men's Trap Finals. ➨ Deepak Kumar - Won Silver in 10m Air Rifle Men. ➨ Lakshay Sheoram - Won Silver in Men's Trap. ➨Saina Nehwal - Won the Bronze in Badminton Women's Singles. ➨Team India Bridge Men's - Won the Bronze. ➨Team India Mixed Bridge - Won the Bronze. ➨Saurav Ghosal Won the Bronze in Squash Men's Singles. ➨Joshna Chinappa - Won the Bronze in Squash Women's Single. ➨Deepika Pallikal - Won the Bronze in Squash Women's Single. ➨Prajnesh Gunneswaran - Won the Bronze Lawn Tennis's Men's Singles. ➨Heena Sidhu - Won the Bronze in Women's 10-meter air pistol. ➨Rohit Kumar and Bhagwan Singh - Won the Bronze in lightweight double Sculls. ➨Dushyant - Won the Bronze in Lightweight Sculls. ➨Indian Men Kabaddi team - Won the Bronze. ➨Ankita Raina - Won the Bronze in Women's Singles. ➨Narender Grewal - Won Bronze in Men's Sanda 65 kg. ➨Surya Bhanu Pratap Singh - Won the Bronze in men's Sanda 60 kg. ➨Roshibina Devi - Won the Bronze in Women's Sanda 60 kg. ➨Santosh Kumar - Won Bronze in Men's Sanda 56kg. ➨Rahi Jeevan Sarnobat - Won Gold in 25m Pistol Women. ➨Divya Kakran - Won Bronze in Women's Freestyle 68kg. ➨Regu Men's Team - Won Bronze. ➨Abhishek Verma - Won Bronze in 10m Air Pistol Men. ➨ Ravi Kumar and Apurvi Chandela- Won Bronze in 10m Air Rifle Mixed Team.